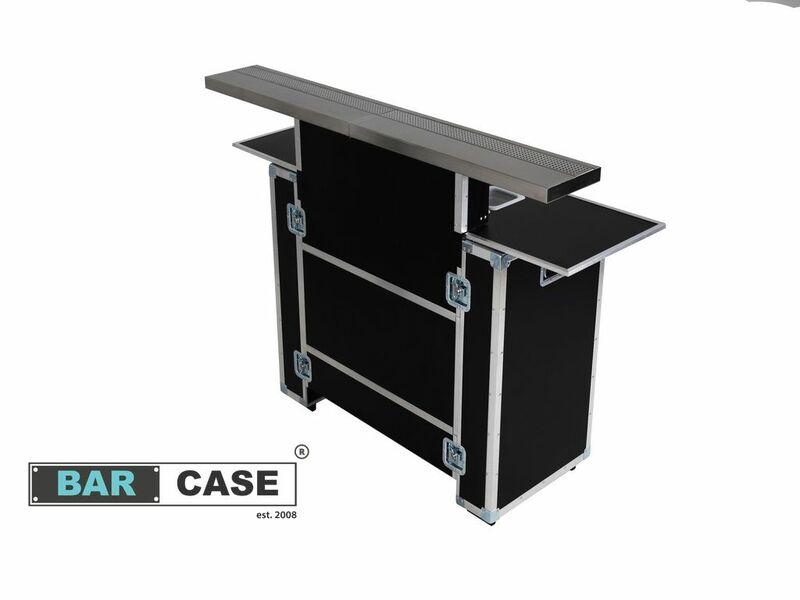 Mobile Flair Bar – The most clever and neat of the whole range of our mobile bars. 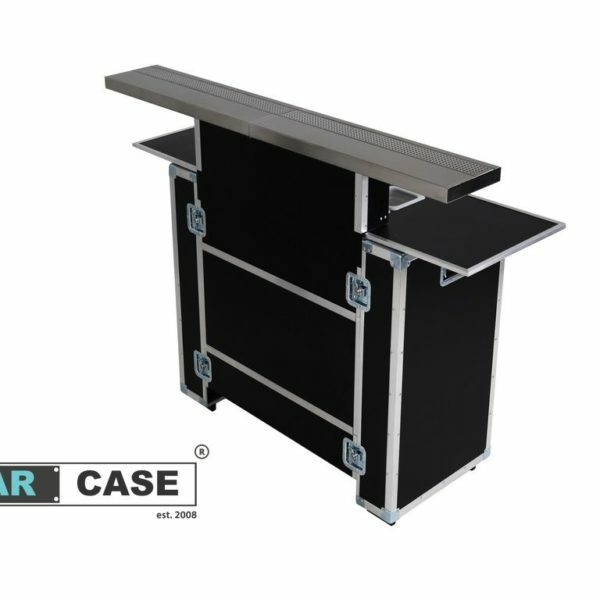 As Mobile Flair Bar was designed by experienced bartenders, it makes work much more comfortable. It is ideal for bartending shows and presentations. Small bar can be easily fitted in tight spaces. Mobile Flair Bar is made of high quality materials. Flair bar is made of phenolic coating panels, which makes it resistant to water. The bar is made with attention to detail maintaining the highest aesthetic standards. When folded up, it has the form of a small transport box. The bar also includes polycarbonate containers for fruits, crushed ice or ice cubes, and a bottle „speed rack” that can store 8-10 bottles.